We’re quickly creeping up to August 23, the scheduled date of the Galaxy Note 8’s unveiling, but at the rate of which leaked info and photos are coming out, there may not be much left for Samsung to showcase. If you’re the kind of person who gets a thrill from checking out devices before they’re announced, let us bask in the latest pictures, detailing a real Galaxy Note 8 — not some fancy CAD render or the phone inside of a case. This appears to be the real deal. 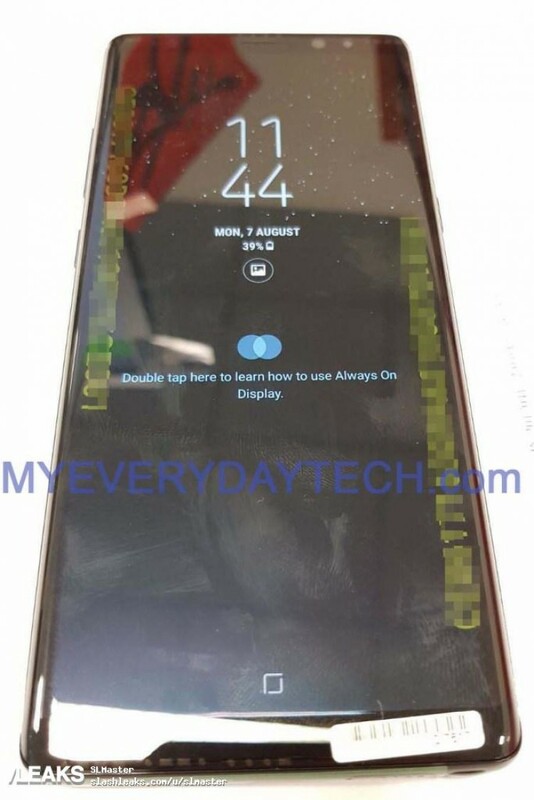 In the below image, we see the device’s frontside, complete with reported 6.3″ Infinity display. As we’ve stated before, it does resemble a Galaxy S8+, just a tad bigger and a bit more squared. We can also see that the Always On Display feature is functioning just fine. 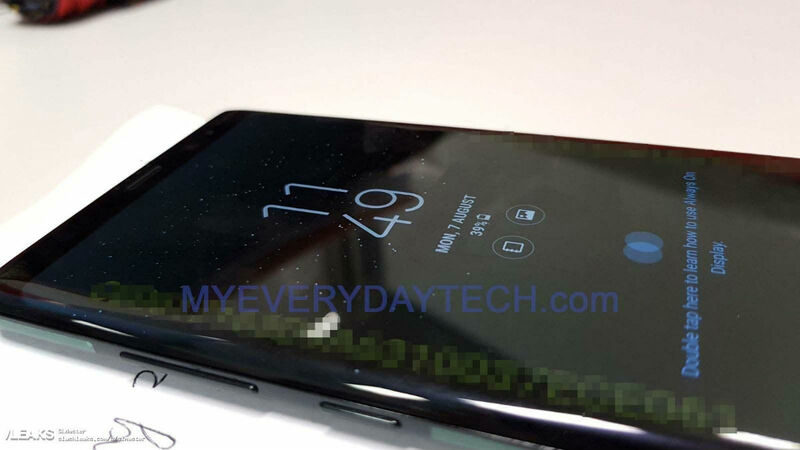 In the next image, we have the Note 8’s backside. We can clearly see the dual rear-facing camera system, with LED flash and badly-placed fingerprint reader. 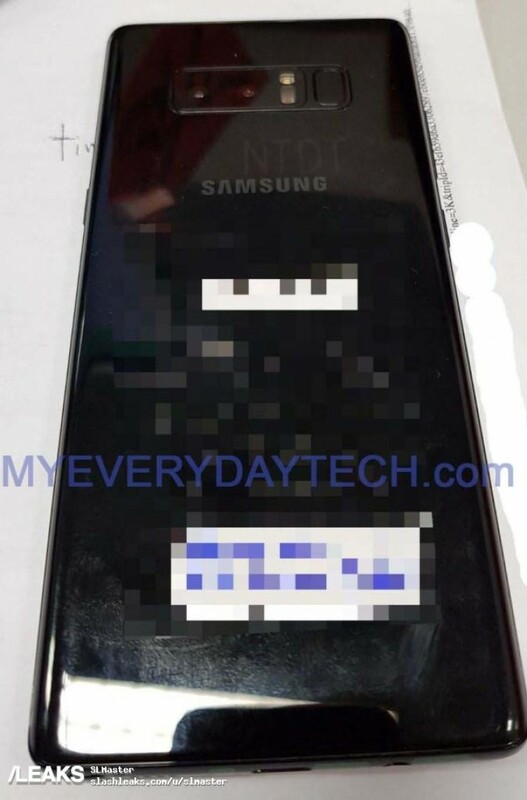 Below that is a Samsung logo, followed by a lot of blur where specific device information (IMEI, etc.) is likely shown. Again, can’t help but state the obvious — this phone looks like a Galaxy S8+, but with an S Pen slot. Look over the images, then prep yourself for August 23. We’ll be on-hand at Samsung’s event in NYC and will be bringing you all of the action!